The most common way to obtain visa to UAE is to get a tourist visa. Tourist visa can be issued by the licensed tourist agency and is given for a period of 30 days from the moment of entering the country. The validity of such visa is 60 days from the date of issue. In order to apply for a tourist visa it is necessary to submit a photocopy of your passport and a copy of air ticket (preferable). It takes 3-5 working days to obtain a visa. UAE tourist visa bares electronic format, and can be simply printed before your journey. Tourist visa can be extended for a period of additional 30 days. This can be done only by the agency that initially issued the tourist visa. 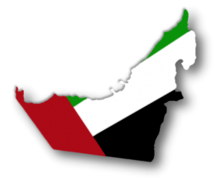 Resident visa in UAE is a secure way to live in UAE as an absolutely legal expat. Resident visa gives you the access to all major facilities such as schools, kindergartens, banks, and hospitals without any limitations. 1) Resident visa on the basis of purchase of real estate in UAE. Such visa will give you the opportunity to stay in the country for 2 years with further renewal. The cost of such property must not be less than 1 000 000 Dirhams (~USD 270 000). Family members like wife, and under-aged children can obtain residence visa on the basis of husband/father sponsorship. Visa obtained through real estate does not give the right for employment. In order to keep the status of resident, the holder of such visa must visit the country at least once in every 180 says. 2) Resident visa on the basis of employment. This type of visa is very common in UAE. It applies less cost on the applicant, because, as per UAE Labour Law, the employer is responsible to bare all costs related to Residence visa procedures and issuance. This visa is given for 2 years with the option to renew it when necessary. The holder of such visa must visit the country at least once in every 180 says. 3) Resident visa on the basis of registering a company. This type of visa is obtained in case of registering a legal entity (Free Zone or a Local Company) on the territory of UAE. The business owner receives a residence visa for 3 years with the option to renew it for the same period. This kind of visa is the most preferred among all types of visas because it gives the sustainability of a resident and an independence of a self-employer. The family members can obtain the residence visa basing on the sponsorship of the head of the family (sponsor). In order to apply for family members' visas the sponsor should rent or buy non-commercial premises (apartment or house) and submit the registered tenancy contract to the relevant local authorities. The holders of these visas must visit the country at least once in every 180 says. Our consultants will explain all the aspects of receiving the visa and help you to become a resident in no time.